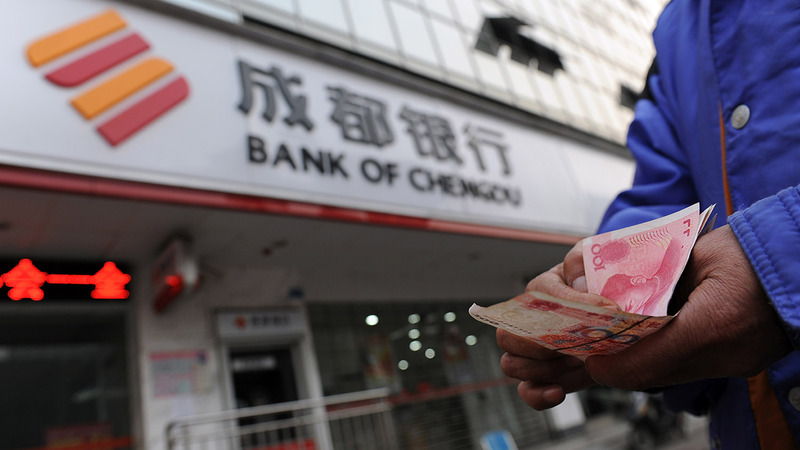 The Chinese Communist Party has long desired to see the United States dollar sidelined and the Chinese currency, the yuan, take on a more central role in global finance. The latest major push toward that goal came on March 26 when China launched a new oil futures contract on the Shanghai International Energy Exchange denominated in yuan. Now the contract is finding increasing acceptance among multinational commodity traders, which could threaten the dollar’s position. Trading volumes for the new Chinese oil futures contract have already surpassed contracts traded in Tokyo, in Singapore, and those of the Dubai Mercantile Exchange, making it the world’s third-most popular benchmark. Since the 1970s, international oil trade has been conducted overwhelmingly in U.S. dollars, sometimes referred to as “petrodollars.” This system increases worldwide demand for U.S. dollars and American debt securities, and it also allows the U.S. to buy oil with funds it can print at will. Decades of converting petrodollars into U.S. Treasuries has helped fuel America’s reckless deficit spending. The Chinese have long sought to replace the petrodollar with a “petroyuan.” Now its yuan-denominated oil futures contract is being embraced by more global commodity traders. The final result could be a death blow to the U.S. dollar and the American economy. For some 50 years, the Trumpet and our forerunner, the Plain Truth, have said a financial crisis originating in the U.S. will transform the world’s geopolitical landscape. Plain Truth editor in chief Herbert W. Armstrong wrote, “If the dollar is devalued, inflation will almost surely result—and eventual economic collapse for the United States” (co-worker letter, March 26, 1968). Trumpet editor in chief Gerald Flurry writes about this prophesied trade war in his booklet Isaiah’s End-Time Vision, showing that Asian countries, including China, will collaborate with European nations to cut America and Britain out of global commerce. “[W]e believe there may be a brief alliance between the German-led Holy Roman Empire and certain Asian powers (Russia, China, Japan—the kings of the east),” he writes. This prophecy is based on Ezekiel 5 and 7, Isaiah 22 and 23, and Revelation 18, and is thoroughly explained in Mr. Flurry’s free booklets Isaiah’s End-Time Vision and Ezekiel: The End-Time Prophet. If China’s new oil futures contract continues to lure more oil-exporting nations away from the dollar and toward the yuan, the dollar could quickly weaken and the conditions for this prophesied siege could rapidly develop. Bible prophecy shows that this will lead to a time of unprecedented devastation and destruction for America, Britain and Israel, and that the suffering will soon spread to the entire world. But there is good news tied to this coming catastrophe. Jesus Christ will interrupt that worldwide conflict and usher in an epoch of peace for all nations (Matthew 24:21-22, 30). He was born to rule this soon-coming, globe-girdling government (Luke 1:31-33; Revelation 19:11-16). Its establishment is now just on the horizon. This entry was posted in Asia, Axis Powers, Bible Prophecy, China, Communism, Currencies, Economic Crisis, Economic Warfare, Great Britain, Israel, Japan, National Security & Terrorism, Oil & Gas, Politics, Soviet Union, US Dollar, USA and tagged Asia, Asia-Pacific, Bible Prophecy, Business & Economics, CCP, China, China Intensifies Efforts to Topple U.S. Dollar, Chinese Communist Party, Communism, Currencies, de-dollarization, Deuteronomy 28, Dubai Mercantile Exchange, Economic Collapse, economic warfare, Ezekiel 5, Ezekiel 7, global finance, Great Britain, Isaiah 23, Isaiah 2:2, Israel, Japan, kings of the east, Leviticus 26, Luke 1:31-33, Matthew 24:21-22, Matthew 24:30, Middle East, National Security & Terrorism, Oil & Gas, oil futures contract, oil market, petrodollars, petroyuan, politics, renminbi-denominated, Revelation 18, Revelation 19:11-16, russia, Shanghai International Energy Exchange, Stephen Innes, The Bible, U.S. Dollar, United States, Western benchmarks, Yuan. Bookmark the permalink.